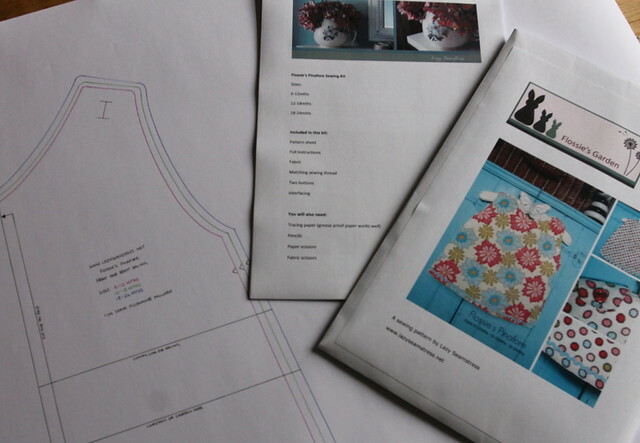 Lazy Seamstress: The next pattern, a design process. Following the great feedback I've had so far on my Flossie's Pinafore pattern and sewing kit, I've been working hard on a pattern I initially designed for Ernest's first birthday. 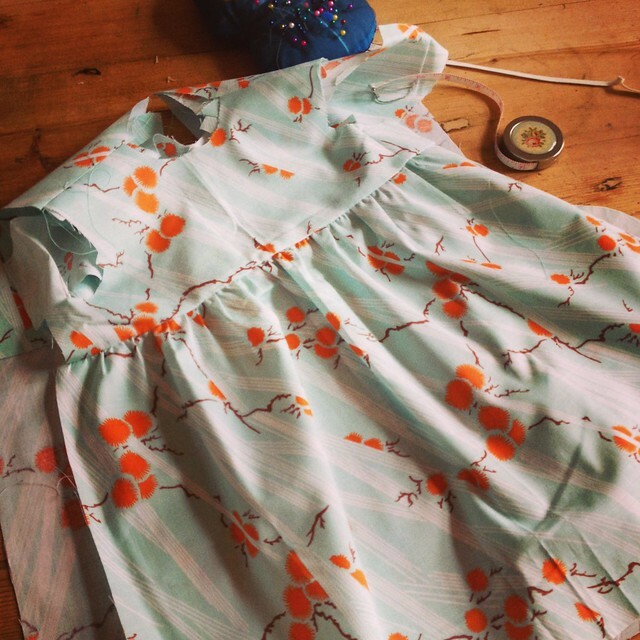 The Birthday Romper is one of my favourite patterns for Spring and Summer. Inspired by a photograph in an old copy of Penelope Leach's Baby and Child; I pored over this book after the birth of my eldest, India. I bought it in a charity shop, it has a strong smell of perfume, and even now just flicking through it can take me right back to my first parenting experiences. The photo in question captured my imagination. 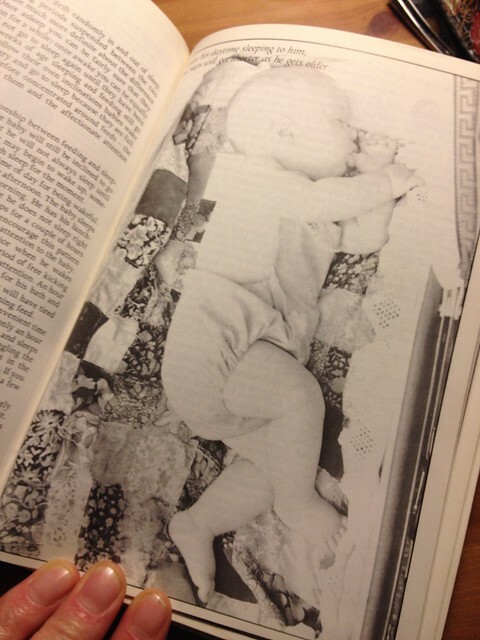 It is of a baby sleeping in a large old coach built pram, lying on a patchwork quilt wearing an adorable romper dungaree. That photo evoked in me a feeling of calm and perfection that I can't quite describe. The Birthday Romper embodies those quite lovely feelings I have when I see or even think of the photo, and hopefully some of that is evident to others in my final design. 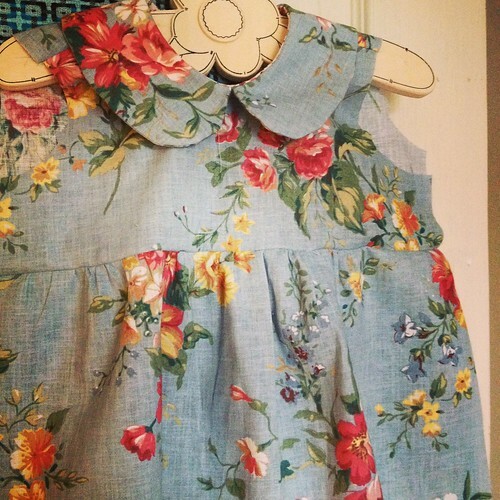 This week I have been working hard grading this pattern into sizes 3-6 months, 6-12 months and 12-18 months. I've also begun sample making. This sample will be winging it's way to a cute little tester in the next few days. And this one will be looking for a tester in a few days. I'm pretty happy so far with how the sample sewing is going, and hopefully the pattern will be ready to print by mid March, just in time for Spring! I do need a little help though. As I've already said, I so far have graded the pattern in three sizes from 3 months up to 18 months. I think these are the sizes this style most suits, but I want to ask you, dear readers, would you like more sizes? A 0-3 months, and a 18-24 months? Please let me know in the comments. And just as a little incentive, all commentors will be entered into a little draw for one of my Flossie's Pinafore patterns. Hi Jeanette I would like 18-24 months, my wee niece would look lush in one. I think both 0-3 months and 18 to 24 months would be good. The 0-3 months would make lovely gifts for new babies and it is so nice to see your toddler in something that is not mass produced from a chain store. The 18-24 month size would be good. That book brings back so many early mothering memories for me too! 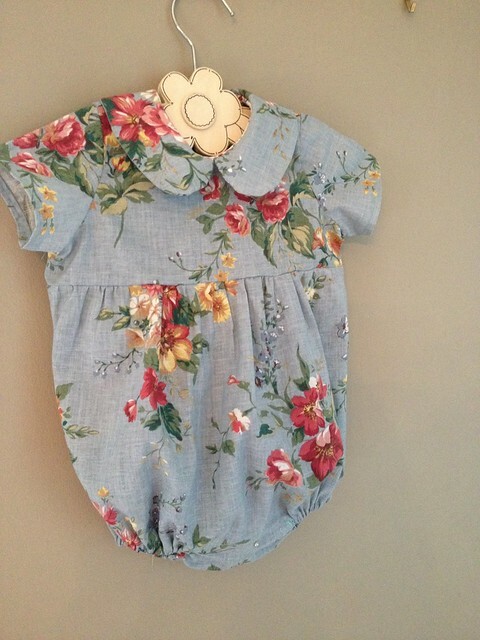 This outfit would work very well for a new baby, especially in the summer. I am not so sure I would use it in an 18 month plus child but that is more because my girl was duper skinny and rally and looked at bit odd in this style. My chubbier one year old would look great though! I think a 18-24 month one would be awesome (she says, knowing that's almost how old her niece is!) It really is a gorgeous pattern, you've done very well! A 0-3 month size would make a perfect newborn present. I'm new to your blog and just love it! You look lovely with short hair. Thinking of you! !